As I mentioned in my last post, video games are why I started programming and I'd like to get back into game development. So I recently installed the Unity game engine and started going through some of the tutorials. I started at the beginning with the Roll-a-ball tutorial. Although what you end up with after completing that tutorial may seem simple, I was pretty impressed. Having done game stuff without the benefit of an engine before, it's pretty amazing what a complete beginner can do in an hour with Unity. I had an idea for a simple game prototype that's not too different from that tutorial. I have a pet parrot and he has a game — I use that term loosely here — he likes to play where you put his toys on top of his cage and he runs around on top of the cage and pushes the toys off onto the floor. He then stares down at the toys on the floor and demands that you pick them up for him. My idea was basically just to create this game with the player in control of the bird. 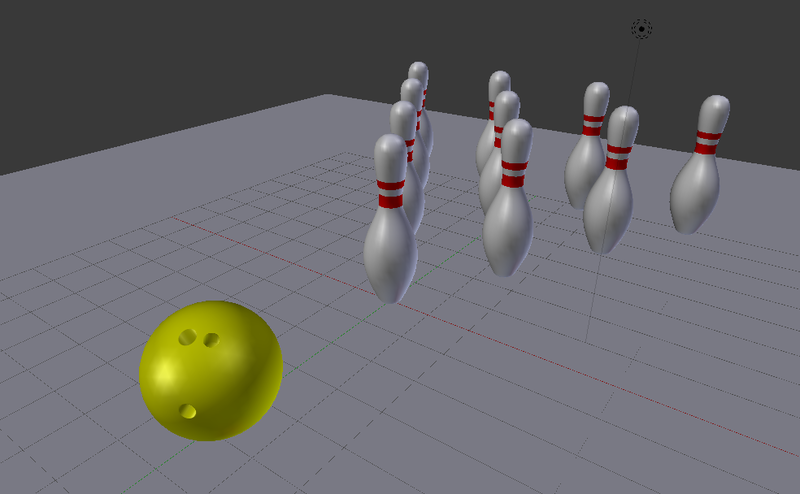 So I started by just adding a plane and a sphere as in the Roll-a-ball tutorial. The plane represented the top of the cage and the sphere represented a ball toy. Then I added a roughly bird-sized green cuboid to represent the bird (our bird is green). At first, I tried to control the cuboid the same way the ball is controlled in the tutorial. But that was just tipping it over instead of pushing it. So I switched to using a CharacterController instead of a Rigidbody and that worked well. Once I had the cuboid moving around, I just needed to be able to push the sphere. I was able to get that working with code based on the answers in this Unity Answers post. Again, what I ended up with was very simple. But I was able to make something in two or three hours that I believe could've easily taken weeks if I were writing it completely from scratch. The main reason I think it would've taken so long from scratch is the physics. Even for simple shapes, the math for collision detection and response can be pretty complicated, depending on how correct/accurate you want to be. My hope with learning Unity is that I'll eventually be able to create something closer to a full game (that's actually fun to play), rather than the tech-demo-type things I've created in the past. And while this is still just a tech demo, the fact that it took so little time to create is a good sign. I'm just getting started with this bird game, so I hope to talk to about it more in the future. Continuing with my Unity education, I also completed the space shooter tutorial. That one is more in-depth and leaves you with something closer to a full game at the end. It took me a couple days to complete. Again, I was impressed with how much can be accomplished so quickly. In high school, I built a game from scratch that was very similar and it took me months. Of course, I was inexperienced at the time, but it would still take me a while to do that from scratch today. I've noticed that programmers often have a tendency to want to build everything from scratch. We like being able to understand and have complete control of all the details in our programs. And, of course, it's good to understand how things work at a fundamental level. But if you insist on doing everything yourself from scratch, you'll be severely limited in the scope of your projects. I have to remind myself of that occasionally and let myself embrace higher-level tools. And that's exactly why I'm learning Unity. But Unity isn't the only tool I'm currently learning. One point that the Unity space shooter tutorial really drove home for me is how important it is to have artistic assets available to use. It's only because the tutorial provides those assets that you can create the game so quickly. I can imagine that creating the assets might take as long as the game itself. Because of that, I've decided that I need to learn how to create some simple assets for myself. 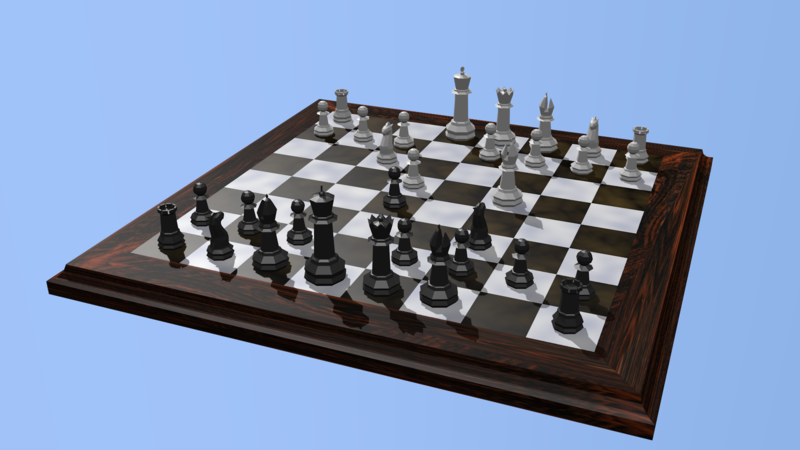 I've started learning Blender, which I'll talk about in my next post. Video games are pretty much the reason I originally learned programming. The first game that really interested me was Paratrooper, which I played for the first time on my uncle's DOS computer. I asked him how people make games like that. I knew you could tell a computer how to do things with simple DOS commands like "dir" and "cd", but I couldn't wrap my little (probably less than 10-year-old) head around how one could tell a computer what a helicopter was or to make that helicopter fly across the screen. Unfortunately, my uncle couldn't explain that to me, at least not in a way that I found satisfactory. I was still curious, but I didn't pursue it further at the time, even after my family got our own DOS computer. A few years later, when I was about 12 years old, my favorite game was Banjo-Kazooie. Before the game came out, I downloaded all the preview gameplay videos I could find, tying up the phone line for hours with the dial-up connection. I remember that the game came out in June and it seemed like an awfully long time to wait from the last day of school sometime in May. I was pretty obsessed. Anyway, at some point I remember visiting the website of Rare, the game's developer, and looking at their jobs page. It seemed like the main skill required was C++. I didn't exactly know what C++ was, but I almost immediately went and told my dad that I needed to buy a C++ book. We bought Sam's Teach Yourself C++ in 21 Days. It came with a CD that contained a compiler. Although that probably wasn't the best way for a beginner to learn programming, it was enough to get me started. I remember being so excited about that book that I had to restrain myself from reading through it too fast. I tried to only let myself read one "day"/chapter each day and did all the exercises. Of course, I was eager to apply my new knowledge to games. I think the first real program I made that wasn't an exercise from the C++ book was a Tic-Tac-Toe game with ASCII graphics. I had a lot of fun making that game and creating the opponent "AI". But after doing that, I decided that I needed to learn how to draw real graphics. I bought another book and this one was specifically about creating games. I learned how to control the graphics card using VGA mode 13h. I was so excited the first time I was able to draw a simple square on the screen. And I was even more excited when I could move that square around using the keyboard. I started trying to make a clone of Paratrooper. In that game, you can rotate your gun's turret using the keyboard. I tried to trace out a circle, but I didn't really know how to do that. I took a guess at what I thought must've been the distance formula: x + y. Of course I had no idea that what I was looking for was called the "distance formula" or that the formula I'd used was Manhattan distance rather than Euclidean distance. But when my circle ended up looking like a square, I figured I better go learn some more math. I started reading my dad's old trigonometry book. It was a bit of a challenge for me since I hadn't taken Algebra yet, but I was able to find what I needed. I'd credit that experience with helping to spark my interest in math. By the time I entered high school, I already had a pretty good grasp of the fundamentals of programming. And my projects got more sophisticated as I learned about Win32, DirectX, and 3D math. I created a simple, yet fully-functional top-down 2D space shooter and then a 3D version of the shooter. But once I entered college and started doing summer internships, all of which involved writing other sorts of programs, it seemed like there just wasn't enough time to work on games as much anymore. Over the last 9 years of my career as a professional software engineer (outside of the game industry), I've occasionally started a new game project here and there, but never really gotten very far on them. I'd like to get back into game development, even if it's still only just a side project. I've recently started learning Unity 3D and Blender, but I'll talk about that in a future post. This post actually started off as an introduction to that post, but I got carried away and just decided to make this its own post.